For a few days it was raining in Barcelona. Pouring down. When it rains a whole other world takes over. The people rush inside the houses. Hide under their umbrellas. Hide until it stops. The water ponds grow and grow. I went down the street. Had the street by my self. Breathing in fresh air. Like the city is being cleaned. Appreciation. 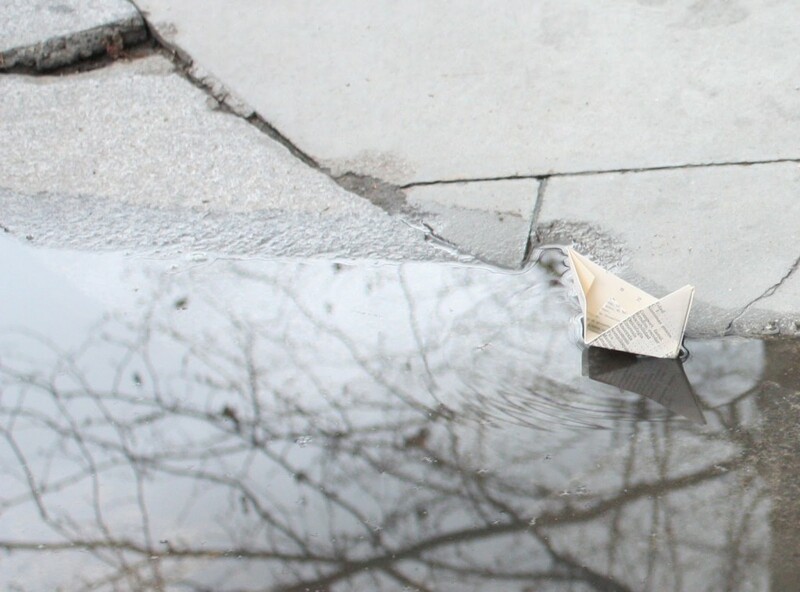 168 paper boats are placed in the ponds. Creating their own little worlds. Available to be seen by people with an eye for details. There are a vast number of talented photographers in this world. This entry was posted in a book of days and tagged inspired. Bookmark the permalink. 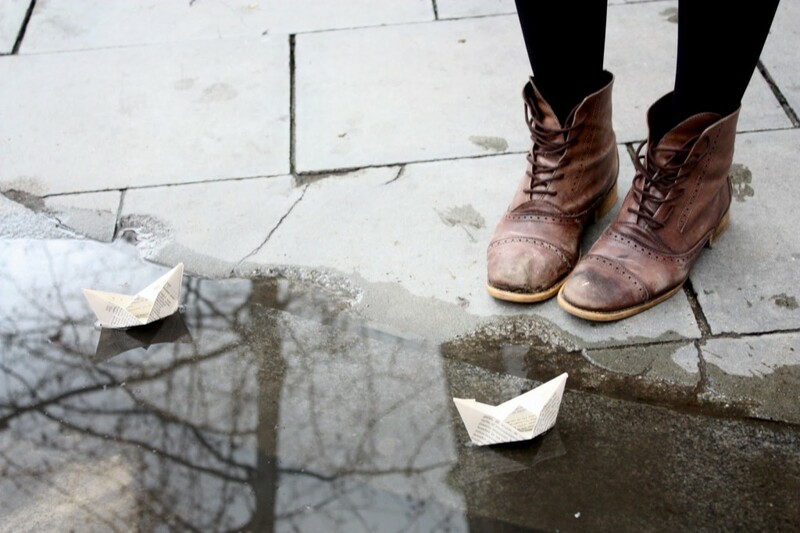 Oh, I LOVE these images with the little paper boats! I’m sorry I have been such a stranger… my comings and goings in the blogging world are sporadic, and full of wide gaps. But, coming here and seeing this beautiful new space of yours made me smile. I love the layout and the fresh clean feel to it. Gorgeous! Have you thought of using Pinterest for storing your inspirational photos? It’s a kind of virtual pinboard, I’m just looking into it myself.